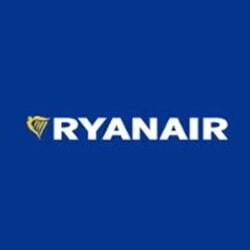 Ryanair is a low-cost Irish airline and based on the number of passengers it is the largest airline in Europe. Ryanair has gotten a reputation for being a bit untrustworthy with many delays and subpar airplanes, but considering the number of passengers they handle every year, it seems like most people are okay with the services they provide. The business plan that Ryanair follows was first introduced by the American low-cost airline Southwest Airlines, and the plan is for Ryanair to avoid the largest airports in order to save both money and time. Ryanair was founded in 1985 and is a part of the European Low Fares Airline Association (ELFAA) alliance. Since 1994, Michael O’Leary has been the CEO of Ryanair. What is the price of the Ryanair stock today? Ryanair is currently listed on three different exchanges which means that there are three different Ryanair stock prices that you need to keep track of. The other option, which many people chose to do is focus on one separate stock. The Ryanair stock is listed on Nasdaq, the London Exchange (LSE), and the smaller Irish Stock Exchange (ISEQ). Because of this, most people focus on the Ryanair stock price listed on Nasdaq or LSE, very few people outside of Ireland ever invest in the Ryanair stock in ISEQ. Below we’ve listed the latest price for the Ryanair stock from the Nasdaq exchange since that is the most popular of the exchanges. Our Ryanair stock price graph is a great source of information for anyone that needs to check the latest Ryanair stocks as well as check how the stock price has developed over the last weeks, months, or years. Keep in mind that we offer the same service for many of the world’s leading companies, not only for the Ryanair stock..
Where do I buy the Ryanair stock? As we mentioned above, the Ryanair stock is listed on three exchanges – Nasdaq, LSE, and ISEQ – and that is where all the traditional trading is performed. We highly recommend that you focus on one of the Ryanair stocks since it makes it easier for you to invest in Ryanair. As you probably understand, keeping track of three stock prices makes it harder to know when to buy the Ryanair share. After you’ve decided which exchange to use you can start trading Ryanair shares as per usual, however, there is an alternative way of investing in Ryanair. You can also use CFDs to purchase Ryanair stocks, or rather speculate on the Ryanair stock price. 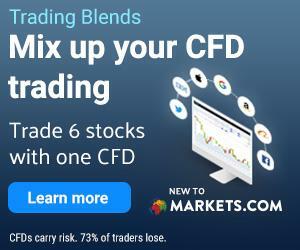 We have listed the best CFD brokers here on BullMarketz.com for your convenience. Below you’ll find our top list of the best brokers to use when investing in Ryanair. Ryanair went public in 1997 with the RYAAY stock on Nasdaq and has since experienced quite an impressive growth. Most of the growth has occurred in the past 5 years during which the Ryanair stock price has more than doubled in price. The Ryanair stock price history has also mimicked the performance of the company over the years and a few dips and peaks have happened. During 2008 the Ryanair share price dropped from 50 to 17 in a matter of the month and during 2004 the stock price fell from 29 to 13 during a 12 month period. By using our Ryanair stock price graph you can keep an eye on the current stock price but also evaluate the Ryanair stock price history. There are no regular Ryanair dividends and it is not something that investors should count on because, by the looks of it, there will not be any dividends anytime soon. It is of course not optimal, but considering Ryanair’s previous performances it would prove difficult. By checking Ryanair’s earnings and earnings calls, you will see that the company profits have not been very stable and if Ryanair can’t promise a certain amount of growth they can’t pay shareholders money either. With all that being said, Ryanair has shared some of its profits with shareholders on four different occasions. The first one happened in 2010, the second was in 2012, and during 2015 Ryanair was forced to share some of their profit with shareholders at two different occasions, once in February and once in October. Now when you know more about the Ryanair stock it’s time to keep yourself updated with the latest Ryanair news. The news is a powerful tool for any investor which is why we’ve decided to share Ryanair stock news as well as other stock and trading news here. You will find news about Ryanair on the front page, under the tab “News” as well as on the bottom of this page. If you don’t feel like visiting this page every day to get the latest Ryanair news you can opt to subscribe to Ryanair. With a Ryanair subscription, you will receive the latest related news delivered directly to an email account of your choice.